Ideas for elementary, middle, and high school classrooms. We asked teachers in the BuzzFeed Community to share their best classroom tips and tricks — and here's what they said! Note: some responses have been lightly edited for length or clarity. 1. Give out old trophies as temporary rewards for student work. 2. Hang up a parking lot board to take random questions, have students post feedback or suggestions, or quickly check to see if the room is really understanding something. I have a "parking lot" board in my classroom. Students with off-topic questions can write them on a Post-it for us to answer at another time. Students can ask whatever they like and stay on topic with what's going on right now. Get the pictured free printable above from Maths Coach's Corner, and H/T to Organizing Classroom Chaos for the different possible uses. 3. Make yourself a filing system to hold all the copies you need for each week. 4. Or just use some basic cardboard drawers — still organized! I teach third grade. I bought a cardboard organizer with six drawers and labeled each one with the day of the week with the final drawer being things we didn't have time to do that aren't pressing. I can sort out all the copies I need for each day in advance so all I have to do is pull out the drawer for the day. Didn't finish something? Just move it to the next day. Get this cardboard organizer on Amazon for $22.51, and the drawers on Amazon for $17.65. 5. If you want to be extra organized, make a "teacher tool kit" so you can always find anything you need. Learn how to make your own toolbox just like this one on Teach Create Motivate, and get these same labels on Teachers Pay Teachers for $4.50. 6. Display great student work using scrapbook paper and clothespins attached to the bulletin board. 7. Or bring in an old refrigerator door for a homey display. 8. Hang inspirational quotes around the room, mounted on inexpensive scrapbook paper. I teach adults with special needs. When I got hired, I had blank, white concrete walls in my building. I went on Pinterest and found beautiful pictures of positive and educational quotes that I printed and glued/laminated onto scrapbook paper (which there is a HUGE variety of and only 10 cents a sheet). I hung them all over my room and lined the hallways with them. I have my students pick their favorite, stand by it, and tell us why they like it as an ice breaker at the beginning of the year. It's a great way to decorate blank walls without having to buy expensive posters. Plus, you can customize easily. Get more inspirational lines from literature here, and other inspirational quotes here. 9. Old file sorters store multiple iPads as easily as they stored actual files. 10. Cut open tennis balls to silence squeaky desks and chairs. 11. Have a "Missing Tools" or "Lost Property" or other lost-and-found-style spot to drop the things that no one claims. I teach first grade. I have a "missing tool" box at the front of the the room, so anyone who finds a random crayon or toy or scissors will always place it in the missing tool box. If a child says they can't find one of their tools, I always direct them to the missing tool box. After a few weeks the kiddos know to look there first before saying something is lost. Read more about the lost property bucket on Rachel A Tall Drink Of Water. 12. 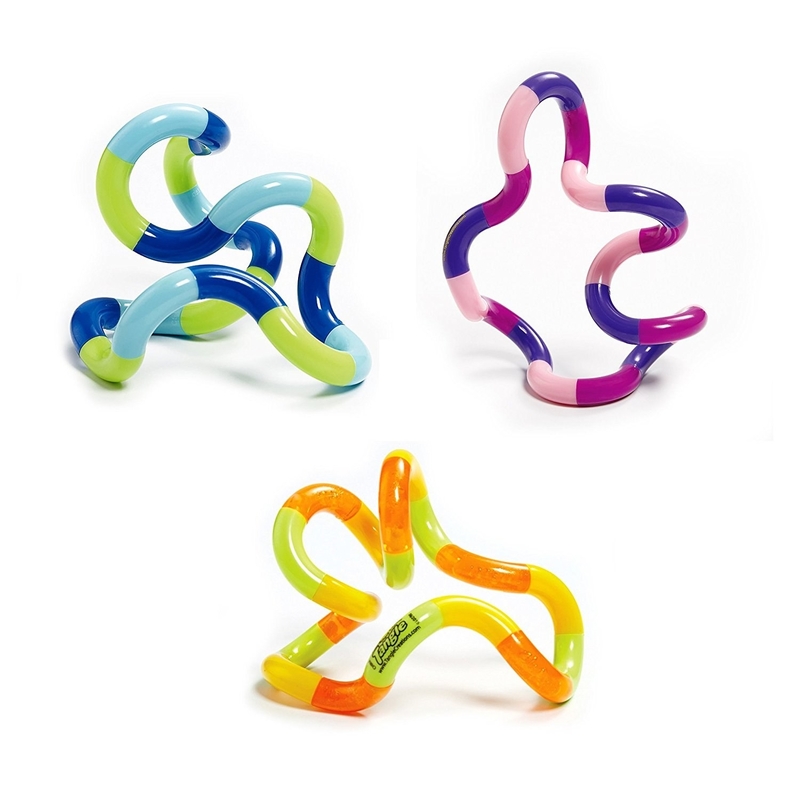 Use yoga bands or physical therapy bands on the front legs of chairs for students who need to move around. I tie physical therapy bands to the front legs of desks for those kids who just need to move. Allowing the fidgeting to be done by their feet keeps their hands free to work! The bands can easily be found on Amazon and are affordable for a teacher on a budget. Get more tips for helping students with hyperactivity and attention needs on The Starr Spangled Planner. 13. Or, keep quiet toys around for kids who prefer to fidget with their hands. I'm not a teacher, but my science teacher had a bin with quiet toys like Tangles, putty, etc. I had ADHD I her class so it was super useful for kids like me to learn and stay focused. 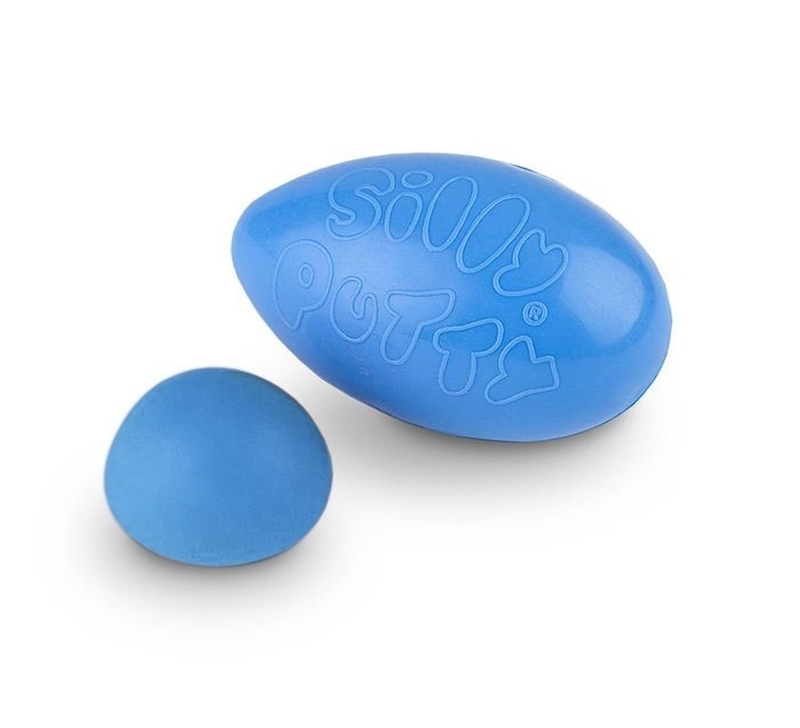 Get a set of three Tangles on Amazon for $10.43, and a set of six Silly Putty eggs on Amazon for $8.95 (just take 'em out of the Easter packaging). 14. Make an a one-stop shop for students who need something for class that day. 15. Or, keep a box of inexpensive golf pencils around to give students who ask you for one. I buy golf pencils and keep them in a cup on my desk. That way, when my ever-prepared and alert high school students forget their writing utensils, they can grab a small pencil that I'm not worried about having accidentally taken as they're quite inexpensive (and the kids tend not to want to keep those). Get a box of 144 golf pencils on Amazon for $9.49, or a box of 72 golf pencils *with erasers* on Amazon for $12.30. 16. Have a "seatbelt sign is on" system for letting kids know when it's alright to ask to go to the bathroom. I have one of those battery operated push lights. When the light is on, the class knows they're not allowed to ask to use the restroom. Unless it's an absolute emergency! When it's off, they know they can ask. I'll turn the light on during whole group instruction, that way they aren't missing out. It has helped reduce the amount of students out of the room tremendously!!! First Grade Spies uses a dollar-store push light for a different useful task — to remind the students that she's working with a small group. 17. Help students calm down by asking them to sharpen pencils. I move classrooms for each class, so I can't have too many tricks. But I always have a bag of pencils that need to be sharpened with me. When a student is getting too excited, agitated, or whatever reason, I will ask them to sharpen the pencils for me. It gives them something to focus on, allows them to be on their own, and can allow them to feel important. It's been so effective for one of my students with ADHD. And for one of my students with extreme anger issues — when things get too tense between him and his classmates it's a great way for him to calm down and get to be alone. If you don't move from classroom to classroom, you could try something like this pencil sharpening station from The Polka Dot Patch. 18. Use a pocket organizer to collect homework folders each day, instead of big cubbies that take up too much space. Get this 30-slot wall organizer on Amazon for $29.99. 19. And give students everything they need to take home at the very end of the day, so none of the worksheets or papers get lost. 20. Make an "I'm done, now what?" board for students who always finish early. I have something in my room called the "I'm done, now what?" board. It's a board with nine options like cleaning out your desk, math flash cards, read a book, free write in your writing journal, etc. When students are done with all their work they pull a wooden stick and complete the activity they selected. It eliminates the constant "I'm done, what do I do?" from students who always finish early. Get four free blank card designs like these for your own wall on Hanging With Mrs. Hulsey. 21. Or, just have students pick something from the classroom library (or something they brought) to read during their downtime. Students were required to have a reading book in their desk for reading anytime they had finished assignment or other down time. This could be a library book, a book from class library, or an educational magazine such as National Geographic. 22. Take the stress out of giving out incentives by making a simple prize punch wall. I teach third through fifth, depending on the year. Creating incentives that both my students and I were happy with was always a bit difficult for me, until this. I made a punch-it wall: Once a student gets enough stickers on their incentive charts, they get to pick a covered cup, punch it in, and get a paper strip with an incentive for them. It's a win-win situation. Learn how to make your own simple punch wall on East Coast Mommy. 23. Use an over-door organizer as a convenient place to park re-useable water bottles. I hang an over-the-door organizer to hold my first graders water bottles. I call it the Hydration Station. It keeps the water bottles accessible for students, but keeps them off their desks — where they are prone to spilling or sweating and creating wet spots. See more photos of this tip in use at Home Storage Solutions 101. 24. Build a word wall that uses QR codes to help kids learn their sight words. 25. Use bucket seats as special seating AND extra storage. Bucket stools! 10-gallon buckets from the hardware store with foam and fabric stapled to the top. A fun seat for little wiggly kids and extra storage in the classroom! Learn how to make the seats just using E6000 glue on Room4Imagination, and how to make them with a staple gun on Leaving My Mark. I have a small whiteboard by my desk that says "Today's Experts." After I finish teaching a lesson, I ask students to raise their hand if they felt like they really understood the lesson and already feel like "experts." I write those students' names on the board. Then, if kids have questions and I'm busy during work time, they know who else they can ask for help. Kids who volunteer to be experts get tokens/tickets/stickers or whatever reward system you use. They learn from one another, feel empowered, and I don't have a line of kids all waiting to ask the same question. 27. ...or use colorful rubber bands as bracelets. I teach third grade, which is about the time where students really start building their independent problem-solving skills. I use rubber band bracelets to identify a question master at each table that acts as a helper while I am teaching small groups. They handle questions that someone might have. It helps me by cutting down on interruptions during my small groups and also helps keep talking to a lower volume if only few are talking instead of the whole class. This helps each student learn essential social skills they need to be successful in higher grades! Get this colorful rubber band ball for $5.48 on Amazon. 28. If you do a lot of presenting via PowerPoint, try the Unified Remote App (free on iTunes, with upgrades that cost $3.99). Fourth-grade English here! I always forget to borrow a clicker for my presentations, so I either use my wireless mouse or my smartphone running the Unified Remote app. Saves me the trouble of running back and forth to the computer during a discussion, plus the kids are amazed I'm using a phone in class! Read more from Unified Remote. 29. Make a "phone prison" to confiscate phones that aren't supposed to be out during class. 30. Or, zip-tie dollar-store pencil bags onto desks so students put their own phones into their own phone "jails." 31. OR, just set out power strips in all the outlets so students can charge their phones. 32. Establish a crate-and-poster system to help students get extra copies of specific assignments, or grab assignments for the days that they were out. A file folder hanger that organizes work that my students missed when they were absent! Students are responsible for checking it on their first day back. It is so easy to write their names on it and place in right into their class's folder! No having to keep up with extra copies or having to print out extras! 33. Use an app like Remind to send updates to your students and their parents, and answer questions. The Remind app allows me to stay in contact with parents and my high school students via individual IMs, but also keeps a log receipts of all interactions with all student and parent users, which comes in handy when it comes time for parent-teacher conferences or completing parent contact logs. My students and their parents can send me questions about homework and assignments outside of school hours. Just make sure you tell them not to contact you after a certain time! I can also send reminders about exams, major assignments, and field trips. And make major announcements I might have forgotten to make in class. You can also create groups/classes in case you have multiple sections or teach multiple subjects. My favorite aspect of this app is that I can schedule announcements way in advance and forget about them, which is one less thing I'll have to remember. And it's completely free and easy for all to use, plus it keeps your personal info safe and confidential (like your cell number...yes students try and seek out that info). Get Remind on the Apple App Store for free (with available in-app purchases) here. 34. If you can, on tough days, bring in a therapy animal. 35. And remember — no matter what grade you teach — YOU'RE more important than any organizing system or smart trick. I'm the coolest most useful thing in my classroom. Myself. The teacher is the most important aspect of a classroom! My mind. Yep, that's best classroom tool.